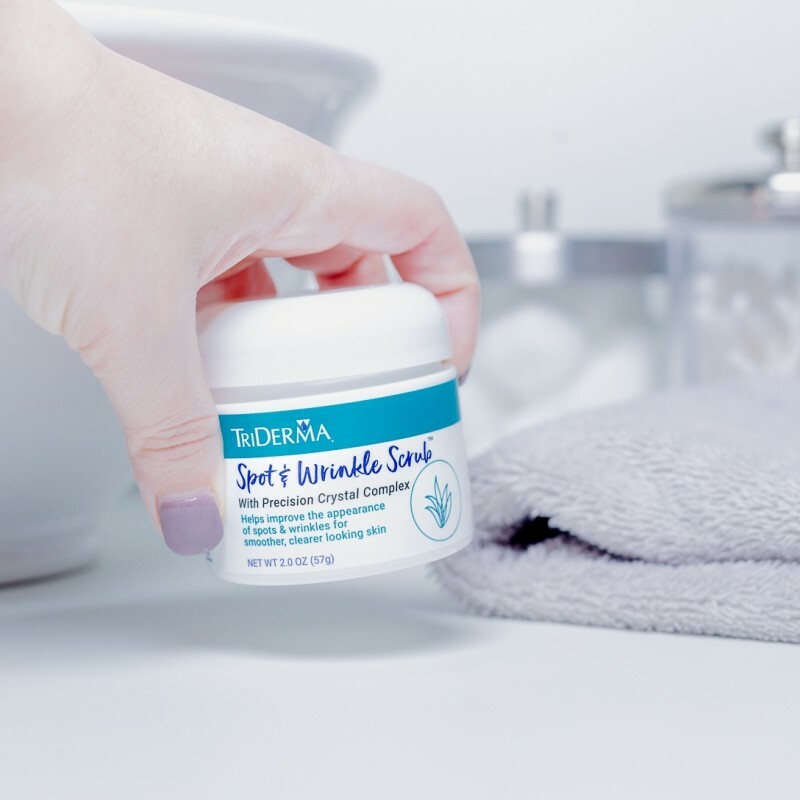 This creamy scrub is made with a finely ground Precision Crystal like complex that acts like a surgeon's scalpel to gently exfoliate dead skin cells. Helps improve the appearance of spots & wrinkles for smoother, clearer looking skin. Helps correct the appearance of uneven skin tone. This product is nice. I, I have found this product really effective. Its a little high,but worth it! Not greasy, absorbs fast. smells great and leaves my skin feeling great! !Hard to find,may start buying on line,Daughter told me about it..Love it!! This product was very easy to apply, smells great and leaves my skin so smooth. I have only used it for 2 days right before bed and I can already feel and see a difference in my skin. Highly recommend!! Years ago I went to Palm Springs and while looking for something interesting to do I came across an out door market at the college. As I was walking through the different little displays I met a lady selling the Spot and Wrinkle Erasing Scrub. I bought a jar and took it home to try. I am 74 years old and have people stopping me on the street to inquire how I keep my skin looks so young and smooth. 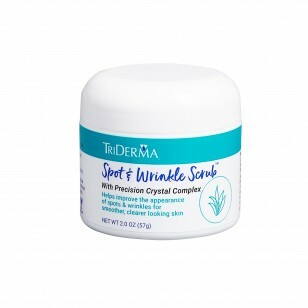 I have been using the Spot and Wrinkle Erasing Scrub for many many years. When I moved to Utah I needed the Spot and Wrinkle Erasing Scrub even more that I did in California. Utah is a much dryer climate and I need the Spot and Wrinkle Erasing Scrub every day to make my skin soft and supple, plus eliminate dark spots. I would never want to be with it. This scrub is great to cleanse and really exfoliate your face. I like to use it at night to prepare for a new day to start the next morning! Apply to clean skin. Gently rub in a circular motion to face, neck, chest or hands. Avoid eye area. Rinse off with warm water. Follow with Spot & Wrinkle Cream. aloe barbadensis (aloe) leaf juice*, carthamus tinctorius (safflower) seed oil, cetearyl alcohol, polysorbate 60, dimethicone, cetyl alcohol, allantoin, butyrospermum parkii (shea butter), beeswax, tocopheryl acetate (vitamin E), glycerin, avena sativa (oat) kernel extract, precision crystal complex, panthenol (pro-vitamin B5), zinc PCA, tocopherol, carbomer, sodium hydroxide, phenoxyethanol, ethylhexylglycerin. "This is the best scrub, it is rough enough to get off the top layer of dead skin that clogs the opening of the pores. Great for those with blackhead issues in the nose area." Erik and Jennifer M.